What do you mean I’m supposed to be doing this every Friday? It IS Friday! It’s always Friday. Who needs a calendar? Awesome merch after the break, as always! First up, these three happy meal toy customs are up on ebay starting at $66 for all three! These are probably some of the better McD toy mods I’ve seen… although maybe I’m biased because CMC is awesome. My only complaint is that they took off the keychain bit, which I guess most people don’t like, but I think keychains are awesome. Ponies? Music? Whipped cream? Confetti? Yeeessss please! These headphones have the mane 6’s cutie marks sculpted into a mass of delicious creamy goodness (sadly, not real), and the headphones themselves are Philips shp1900, which I can’t be bothered to google to check their quality. But who really cares? Ponies! 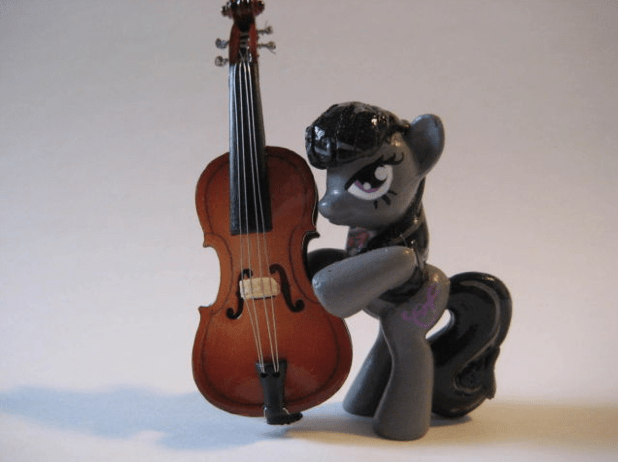 Now, I usually try to keep the blind bag customs to a minimum since there are so many of them, but this is one of the better ones I’ve seen… that, and everybody needs more Octavia in their life. She even comes with a little cello, and poses like she’s playing it! She’s up on ebay with a start bid of $45… but the buy now price is set at $50, so you’re paying around there either way. More Octavia? Why of course! This amazing Octavia clock is up on ebay, currently at $66 and ending soon. With this thing, it will be Octavia time all the time. Well, look at this beauty! I like how sleek her mane and tail look… and gosh, I just love her fuzzy coat. She’s currently up to $50 on ebay, with 4 days left! More CMC? More CMC! These three are up on ebay (individually- I’m featuring them all together to avoid clutter.. and because this picture is terribly cute) until later tonight, with Sweetie Belle currently at $100, Scootaloo at $140, and Applebloom up to $55. 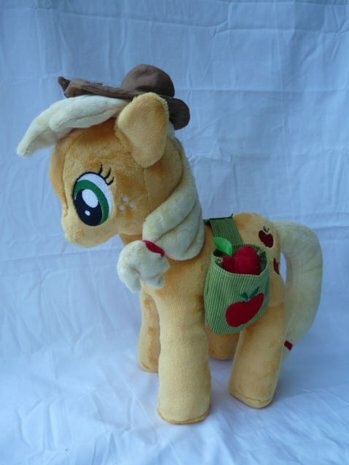 …poor Applebloom. Pinkie Pie seems to be unavailable, poor Pinkie! And that’s it, folks! Maybe next time I’ll be on time. Until then, keep submitting your merchandise, whether you made it, your friend made it, or you just happened to find it! Why are the CMC plushies all priced so differently? They are all equally cute! I somehow get the feeling that the different characters attract different sorts of fans, and some fans are willing to pay more for their characters that they like. Or something. That or fanfiction/art has to do with it. I know I like scootaloo a hell of alot more (though she was already awesome) thanks to end of ponies.